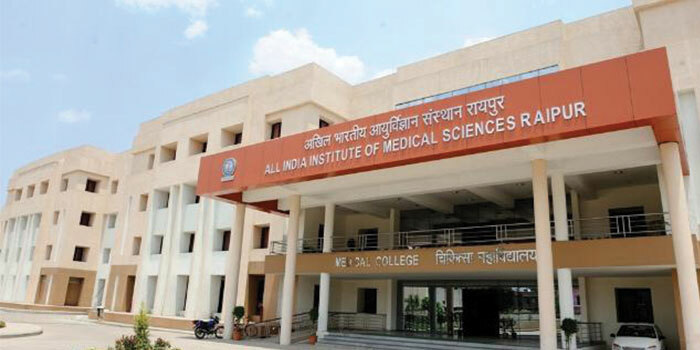 AIIMS MBBS 2019 will be conducted on May 25 and 26 in computer based mode for admission to a total of 1,207 UG medical seats offered by 15 AIIMS Institutes. With the release of information brochure, the admission committee has introduced some major changes in AIIMS MBBS, which are mentioned below. 1. Change in the AIIMS application process AIIMS - New Delhi had started the online registration of AIIMS MBBS 2019 with a new facility of PAAR (Prospective Applicants Advanced Registration) from November 30. The application form is divided into two stages - Basic Registration and Final Registration. AIIMS MBBS basic registration process has been concluded on January 14, 2019. Only the registered aspirants whose basic registration has been completed on or before the last date will be eligible to participate for Final Registration. The codes for final registration will be generated from January 29 to February 19, 2019. The final registration to fill the remaining academic, contact and choose of exam cities will start from February 21. 2. Six new AIIMS Institutes introduced - This year, the authority has increased the number of AIIMS Institutes for admission to MBBS courses. The six new medical institutes will be located in Kalyani, Raebareli, Gorakhpur, Bathinda, Deogarh and Bibinagar, making a total of 15 AIIMS across the country. 3. Hike in AIIMS MBBS seats - With the addition of six new institutes, the MBBS seats have increased. As per the prospectus, AIIMS UG entrance exam is the basis for admission to a total of 1,207 MBBS seats. Out of the total seats, 900 seats will be available in nine AIIMS Institutes, while 300 seats will be allotted in six new AIIMS campuses. 4. 100 seats added in AIIMS Guntur and Nagpur - In the prospectus of AIIMS MBBS 2019, the authority has ascended the number of seats in AIIMS, Guntur and AIIMS Nagpur campuses. A total of 100 MBBS seats is added to each campus. Also, the AIIMS prospectus mentions the reservation of 51 seats for Unreserved category and 27 seats for OBC candidates. While 15 and 7 seats are reserved for SC and ST aspirants, respectively. 5% of the total seats are reserved for PWD category. 5. Change in the eligibility criteria for PwD aspirants - As per the AIIMS eligibility criteria, the minimum qualifying percentage to pass Class 12 for candidates belonging to PwD category has descended to 45%. Earlier, the minimum percentage for such aspirants was 50%. 6. Dip in the number of AIIMS exam cities - The list of exam centres of AIIMS MBBS 2019 has been disclosed by the authority. There is a dip of two with a total of 153 exam cities . Last year, the online exam was conducted in 155 major cities of India. Aspirants whose application forms will be accepted by the authority can download AIIMS 2019 admit card from May 15, onwards. It is mandatory to download the hall ticket and carry it to designated exam centres for verification purpose. IAST: Akhil Bhāratiya Āyurvignan Samsthān, Naī Dillī) is a medical college and medical research public university based in New Delhi, India. AIIMS was established in 1956 and operates autonomously under the Ministry of Health and Family Welfare. 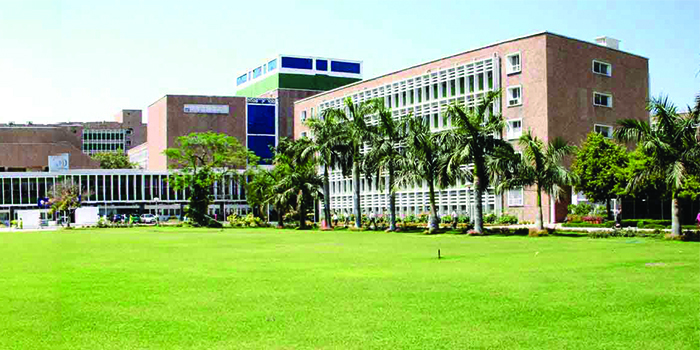 AIIMS Delhi was ranked first among medical colleges in India. All India Institute of Medical Sciences Bhopal, Madhya Pradesh (AIIMS Bhopal) is a medical research public university located in the Saket Nagar suburb of Bhopal, Madhya Pradesh, India.It is one of the seven All India Institutes of Medical Sciences (AIIMS) established by the Ministry of Health and Family Welfare under the Pradhan Mantri Swasthya Suraksha Yojna (PMSSY). 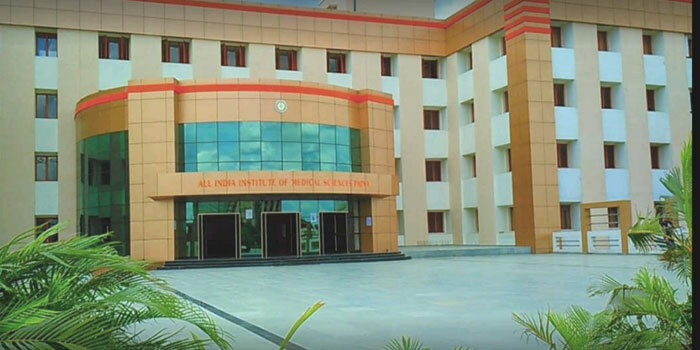 All India Institute of Medical Sciences Bhubaneswar, Odisha (AIIMS Bhubaneswar), formerly Netaji Subhas Chandra Bose All India Institute of Medical Sciences, is a medical college and medical research public university located in Bhubaneswar, Odisha, India. All India Institute of Medical Sciences, Bhubaneswar is one of the apex healthcare Institutes established by the Ministry of Health & Family Welfare, Government of India under the Pradhan Mantri Swasthya Suraksha Yojna (PMSSY). All India Institute of Medical Sciences, Patna, Bihar (officially Jayaprakash Narayan All India Institute of Medical Science) is a medical college and medical research public university based in Patna, Bihar, India. AIIMS Patna was created by the ordinance dated 16th July, 2012 and then the Act (Amendment), 2012 on 2nd July, 2013. 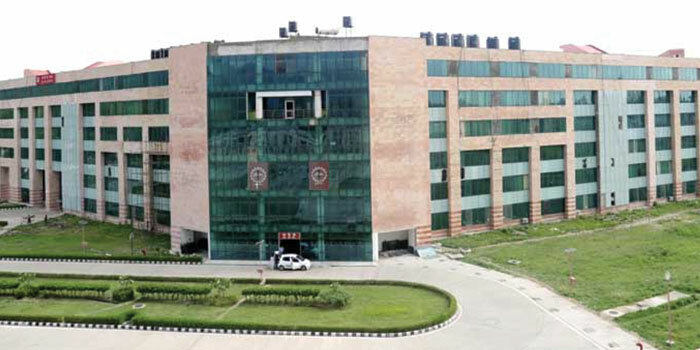 AIIMS Patna started its operations on 25 September 2012. AIIMS Patna is spread over 134 acres, comprising the main medical college campus on 100 acres and residential campus on 34 acres. It is located in Bhusaula village, 8 km from Patna Town (on NH- 139). All India Institute of Medical Sciences Rishikesh, Uttarakhand (AIIMS Rishikesh) is a medical college, Hospital and medical research public university, based in Rishikesh, Uttarakhand, India.The Institute operates autonomously under the Ministry of Health and Family Welfare. AIIMS started its academic sessions in August 2012. A 200-bed hospital at AIIMS Rishikesh was inaugurated by then Union Health and Family Welfare Minister Ghulam Nabi Azad on 10 February 2014. 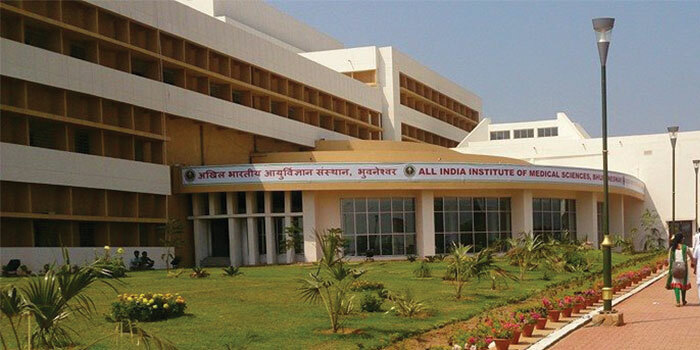 All India Institute of Medical Sciences Raipur, Chhattisgarh is amedical college and medical research public university located in Raipur, Chhattisgarh, India.Established in 2012, it operates autonomously under the Ministry of Health and Family Welfare. 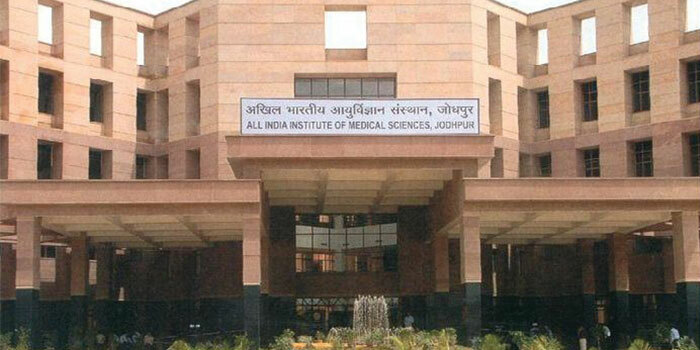 AIIMS, Raipur is located on GE Road, near the Tatibandh Gurudwara in Raipur. Built at a cost of ₹840 crore (US$120 million), AIIMS Raipur is spread over an area of 103.63 acres (0.4 km2), where the hospital and college complex occupies 63.85 acres (0.3 km2) while residential complex is on 39.78 acres (0.2 km2). Being located in an easily accessible location in the major city of Raipur, the institute answers to the medical needs of a majority of the population of Central India including Chhattisgarh, parts of eastern Maharashtra (Vidarbha Region), Madhya Pradesh and Odisha. 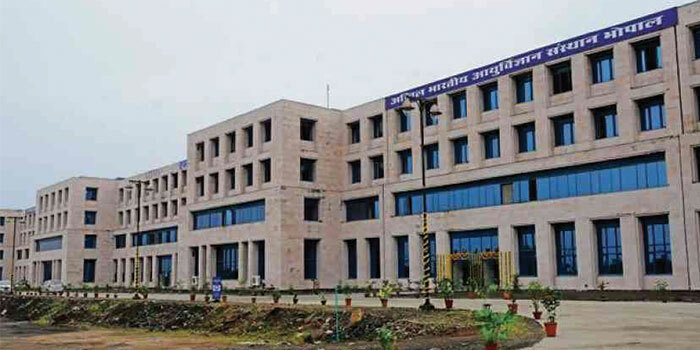 All India Institute of Medical Sciences, Nagpur, Maharashtra (AIIMS Nagpur) is a medical research public higher education institute located in theNagpur, Maharashtra, India. 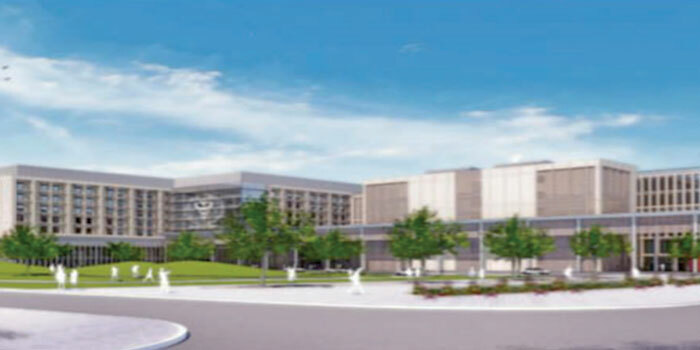 It is one of the four "Phase-IV" All India Institutes of Medical Sciences (AIIMS) announced in July 2014. It started operation in 2018 from a temporary campus in Nagpur. In October 2015 the AIIMS at Nagpur was approved by the cabinet at a cost of ₹1,577 crore (equivalent to ₹17 billion or US$240 million in 2017).Construction work on the permanent campus started in September 2017. Meanwhile, AIIMS Nagpur has commenced the academic session 2018-19 from temporary campus at Government Medical College and Hospital, Nagpur. All India Institute of Medical Sciences, Mangalagiri, Guntur (AIIMS Mangalagiri or AIIMS-M) is a medical research public higher education institute located in the Mangalagiri in Guntur district, Andhra Pradesh, India. It is one of the four "Phase-IV" All India Institutes of Medical Sciences (AIIMS) announced in July 2014. It is located between Guntur City and Vijayawada. In October 2015 the AIIMS at Manglagiri was approved by the cabinet at a cost of ₹1,618 crore (equivalent to ₹17 billion or US$240 million in 2017).Construction work on the permanent campus started in September 2017. Meanwhile, AIIMS Manglagiri has commenced the academic session 2018-19 from temporary campus at Siddhartha Medical College and Hospital, Vijayawada. 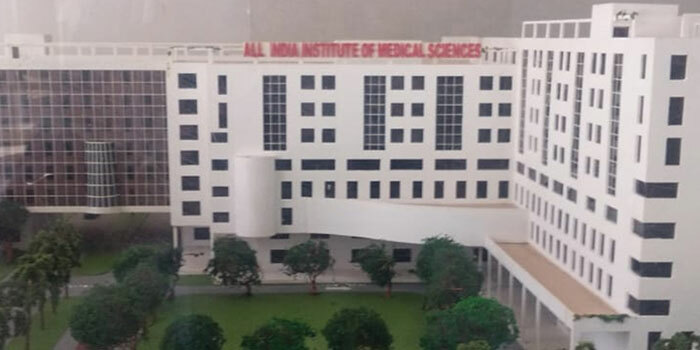 All India Institute of Medical Sciences, Raebareli, Uttar Pradesh (AIIMS Raebareli) is a medical institute located in Raebareli, Uttar Pradesh, India. One of the All India Institutes of Medical Sciences, it was established in 2013 and operates under the mentorship of the Postgraduate Institute of Medical Education and Research (PGIMER). 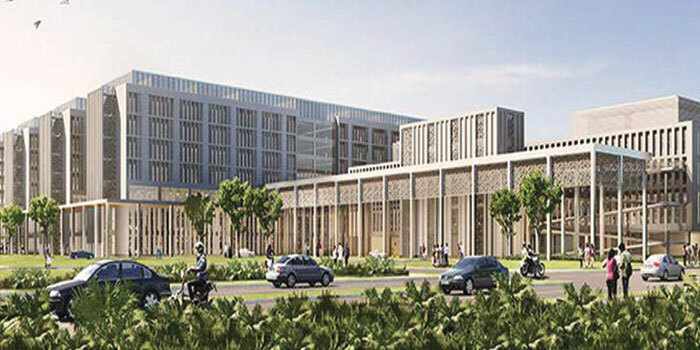 In respect of AIIMS Rae Bareli Project, the Government of Uttar Pradesh has agreed to provide about 148 acres of land for setting up the Institute. Out of this, the State Government of UP has transferred 97 acres of land in Rae Bareli to Ministry of Health and Family Welfare.